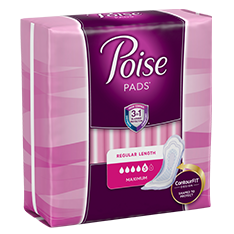 Poise® Maximum Absorbency Pads provide even more absorbency to give you the confidence and protection you need for your Light Bladder Leakage (LBL). 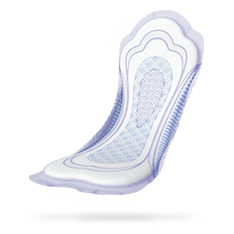 Not only do they stay 5x drier than the leading Always period pad†, but the ContourFIT* shape is designed to fit your curves, so you have coverage where you need it, without any bunching or bulking in the middle. 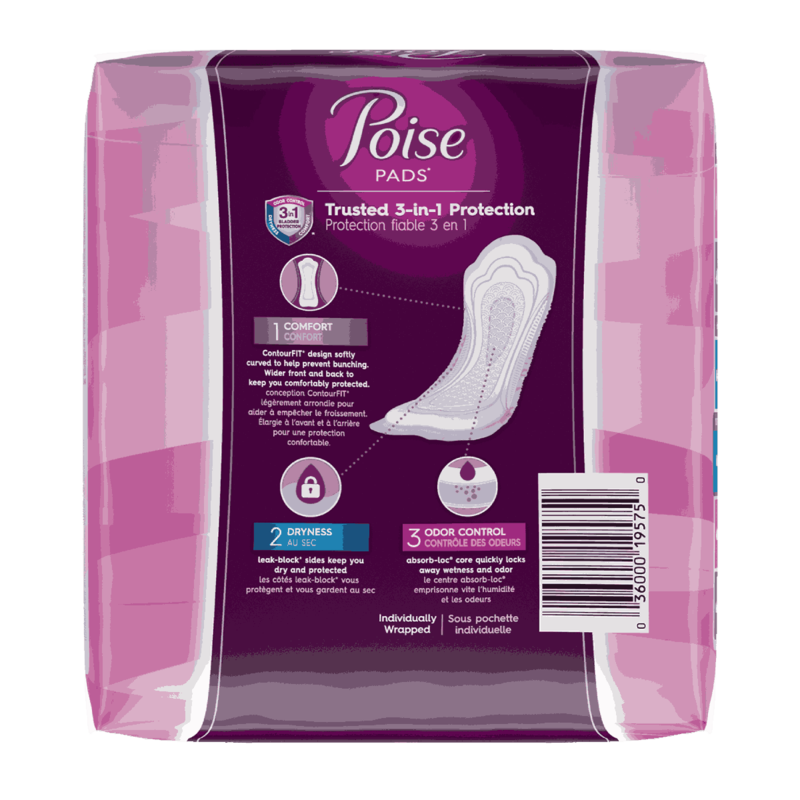 And with our absorb-loc® core and leak-block * sides, you get that trusted Poise® 3-in-1 protection for up to 12 hours of outstanding dryness, comfort and odor control. 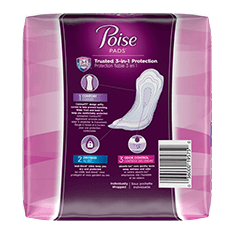 Poise® Pads - Maximum Absorbency is rated 4.3 out of 5 by 835. Rated 1 out of 5 by LynD from New is not improved! I’m having a terrible time finding a pad that protects as the old style did. The thin bunch up, waterproof liner flips downward, cover does not absorb quickly enough. I’ve tried every style you currently have in stores. 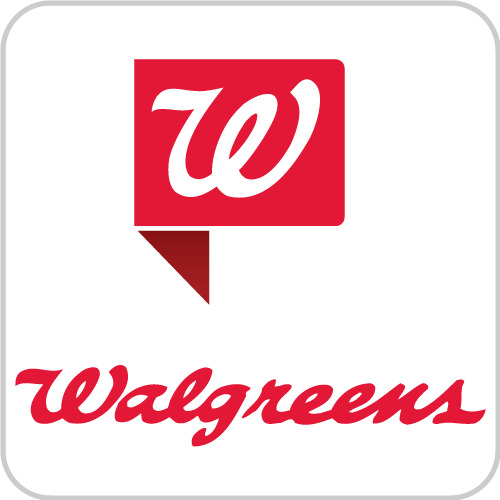 Can’t count the number of embarrassing accidents I have had with new & “improved” products. Please, please bring back the original thicker pads with old top cover. Regular length, absorbancy 5. I’m only 5 ft tall so long is too long for me. Just because you can do something doesn’t mean you should. 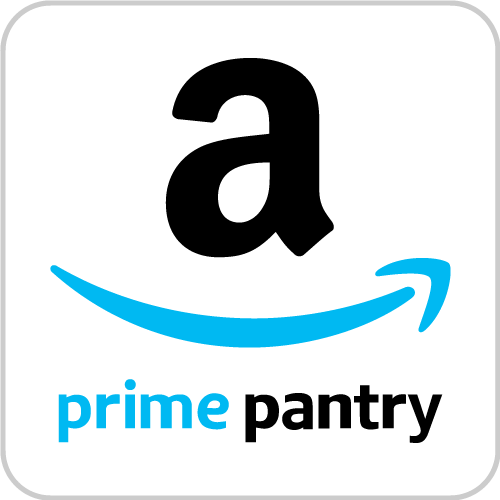 Rated 3 out of 5 by Wet again from I dislike the new shape, its too narrow The new shape is too narrow and allows overflow in the middle.of the pad. 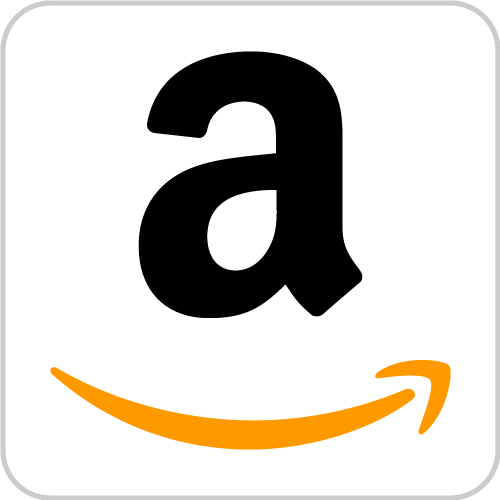 Rated 4 out of 5 by bubba from problem with adhesive I have used this product for several years, but for the last couple of months, the adhesive pulls loose from the pad. A very unpleasant experience. Have you changed the adhesive? Rated 2 out of 5 by Tap999 from New Design is Very Disappointing The old design was very dependable. I never needed to worry about embarrassing mishaps. However, the new design is not reliable. 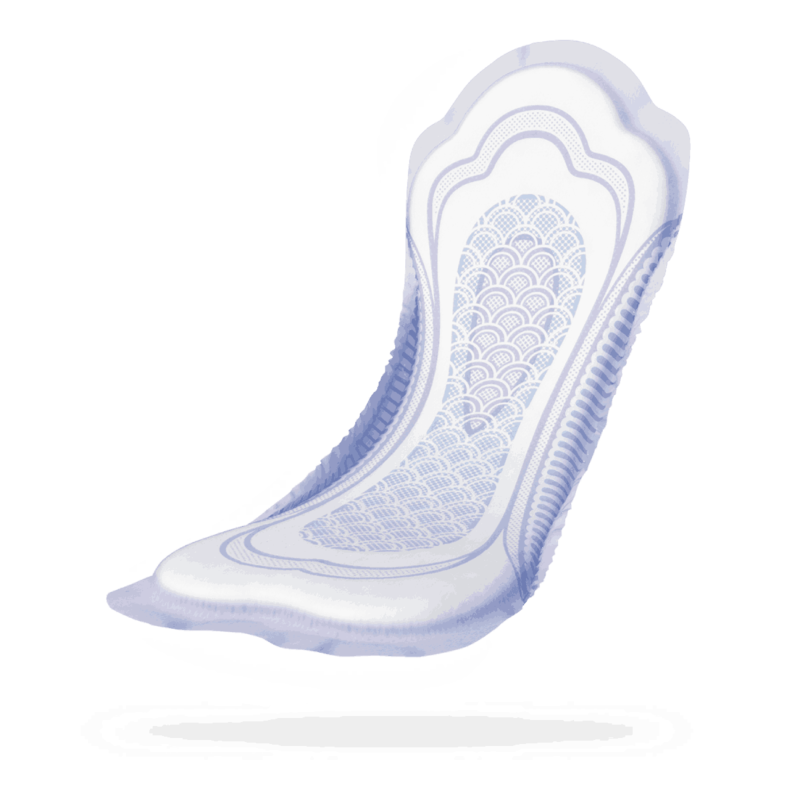 The pads leak on the sides and do not seem as absorbent. I worry about having accidents and need to change pads more often. Rated 5 out of 5 by Becky13 from The BEST ! I have tried all others . I have the added inconvenience of colitis AND a leaky bladder ! Poise has saved me from terrible embarrassment on many occasions ! I will never use anything else ! Rated 3 out of 5 by Pamela A from Contour pads I had been using the original pads before they were restyled into contour pads. I find the contour shape does not allow the urine to move as easily as the previous style. Now the pads leak in front while the back of the pad remains dry. Rated 1 out of 5 by Bambi2 from I still hate the new contour pads! 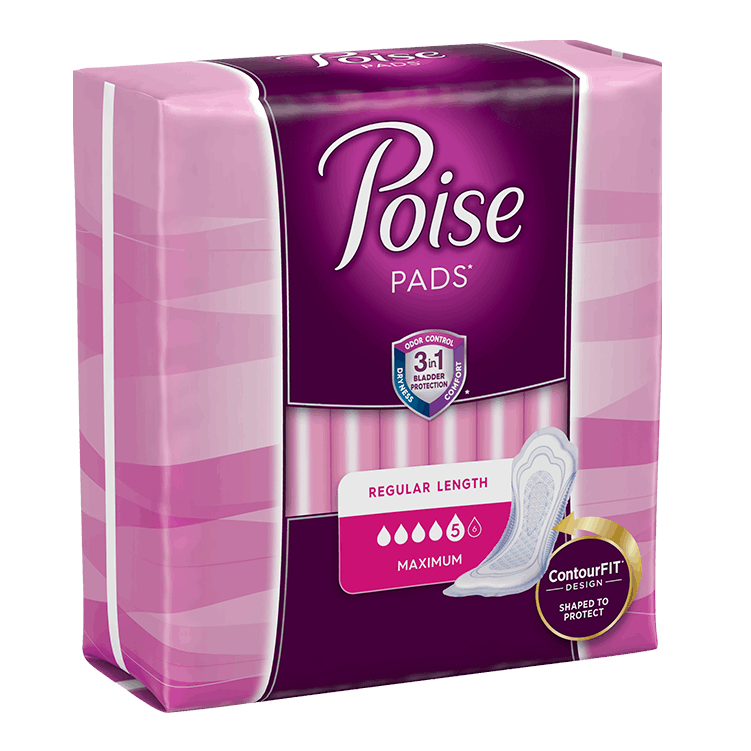 The contour pads are not as absorbent as the old pads were and I don't feel protected any more. I used to use the moderate size, long. I even tried switching to the maximum size, long but I still don't find them protective enough. 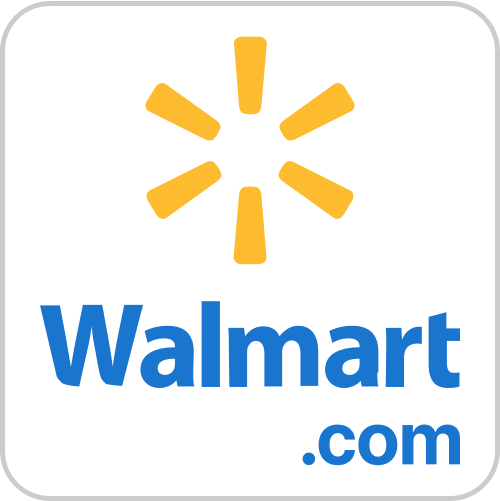 I wish you would go back to the old design. 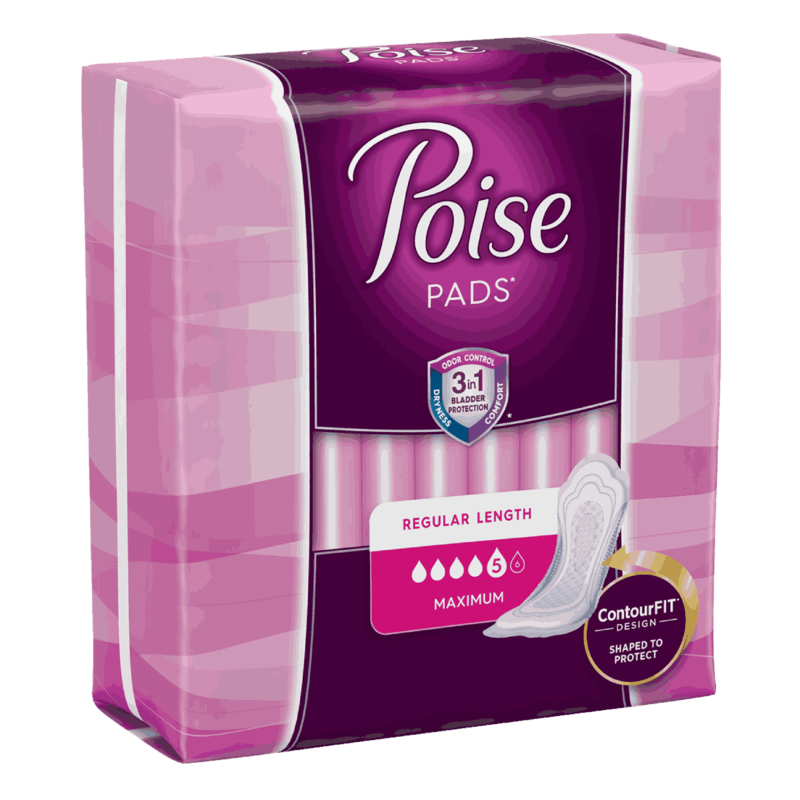 I shouldn't have to go to the ultimate size because my leakage is only occasional but I need to feel I can depend on the pads to work when it does occur. Rated 5 out of 5 by putz from The best! This pad widens in the back and is GREAT protection at night.